You are here: Home / News & Updates / Alphaclean / Why Should I Get a Walk-Behind Scrubber? Why Should I Get a Walk-Behind Scrubber? 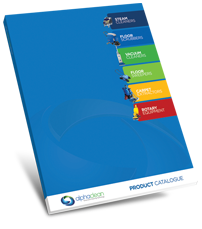 A walk-behind scrubber is a great investment for any business to make. Consider how your cleaning team currently cleans the floor. Do they use a mop and bucket? Do they use excessive water for washing down floors? Do they spot clean and scrub stains by hand? These methods are not only time-consuming, but also inefficient at removing dirt and stains from flooring. Walk-behind scrubbers reduce time spent cleaning and require relatively little maintenance to keep working optimally. While it may cost you some money upfront, a walk-behind scrubber will pay for itself in its effectiveness. If you have a small, medium, or large facility, a walk-behind scrubber can reduce your daily expense incurred for cleaning and scrubbing floors. These machines are designed to clean in one pass, leaving the floor walkable immediately thereafter. Walk-behind scrubbers work well in small areas and clean areas much better than the traditional method of using a mop and bucket and with new technology this is improving every year for smaller spaces. The power and speed at which walk-behind scrubbers work is impressive. A walk-behind scrubber can do in as little as ten minutes what a person with a mop and bucket can do in an hour. In addition the dirty water is collected into a different waste department meaning that the scrubber only applies clean water. You can use a walk-behind scrubber on a variety of surfaces, tile, concrete, and rubber, to name a few. Walk-behind scrubbers generally come with an assortment of attachments and brushes, making it easy to clean any number of surfaces with the same scrubber. They are easy to get into hard-to-reach places to clean, unlike larger scrubbing machines and this is only getting better with new compact technology. 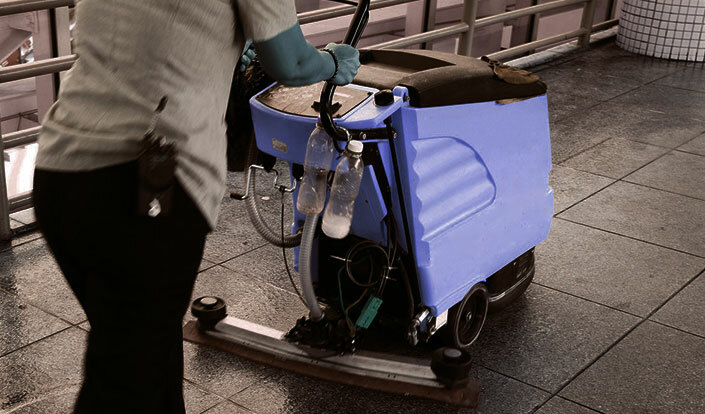 Walk-behind scrubbing machines are quiet, easy to use, and compact. They are environmentally friendly and inexpensive compared to larger industrial versions. The list of benefits of using a walk-behind scrubber goes on and on. Using them allows you to be more efficient in your business and save time, while maintaining a high level of cleanliness in your business.